Lauren Thomas hasn't added a story. 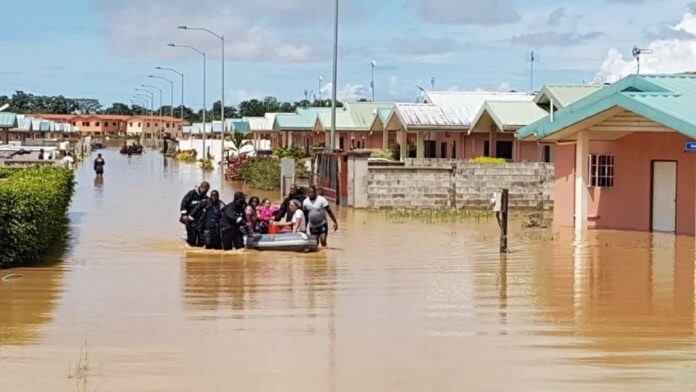 After hours of heavy rainfall across the twin-island Republic of Trinidad and Tobago, severe flooding hit the islands late Friday (19th October 2018), leaving widespread devastation across the islands. Thousands remained marooned, trapped in their homes and their cars. With as much as 10ft of water in some areas, those affected only managed to get to safety with the clothes on their backs. Two days later (Sunday 21st October 2018), homes still remain covered in water and the country is still under severe weather warnings. If the rainfall continues, the devastation will continue to wider parts of the country. The Government has declared this a National Disaster and it is estimated that relief efforts will cost a significant amount of money. The affected persons are in dire need of water, non-perishable food items, canned goods, personal hygienic items, cleaning supplies, clothing, kitchen utensils, household items, and the list goes on. Lauren Thomas hasn't posted any updates yet. Lauren Thomas is managing the funds for this campaign. The campaign is for a personal cause.